Every girl, little or big is her mama’s princess, and rightly so, princess cakes are ever so popular at our bakehouse! From Ariel, to Rapunzel, to Snow white to, Frozen, we have done it all! of your disney story book! And then some little girls want a snow white cake and we have done that too! 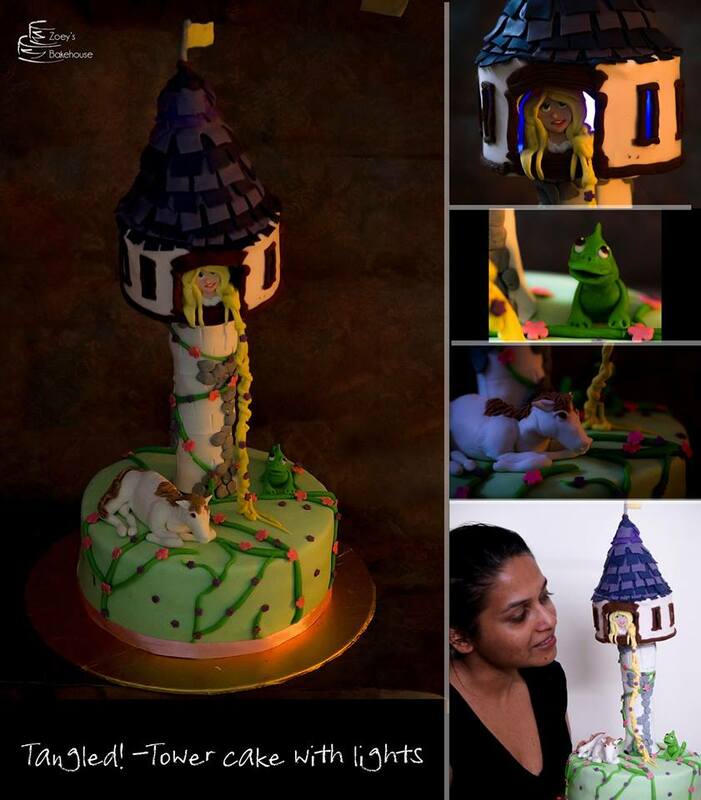 Rapunzel or tangled theme cake with a whimsical tower is what we have made and in some of the cakes, we have also added lights in the tower! 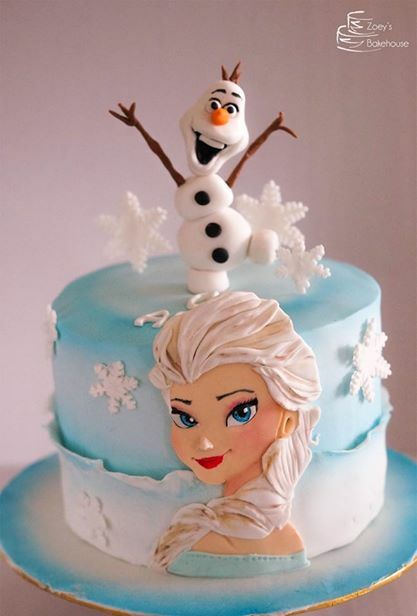 This is by far the most asked for at the bakehouse, We have lost the count of the number of Frozen themed cakes we have made in the last one year, The movie was such a rage, and s o are the cakes! 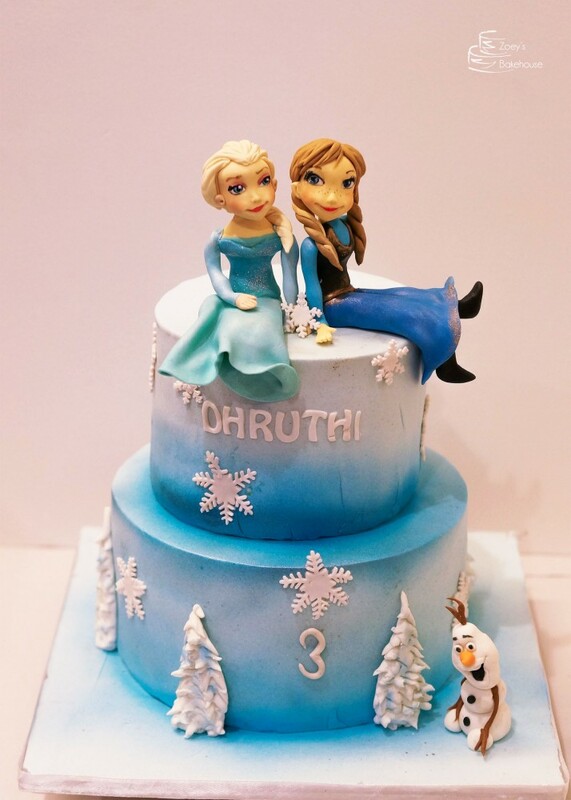 Girls big or small are fan of Elsa and Anna! 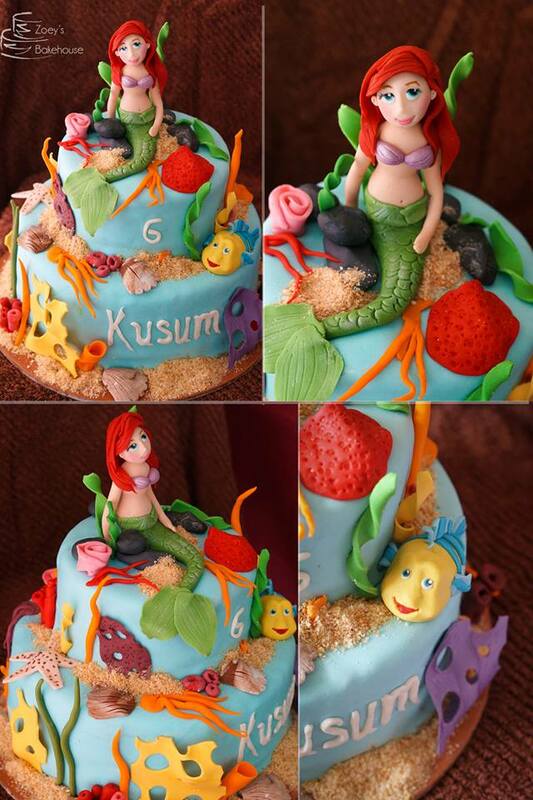 Does your birthday girl like Ariel the mermaid? 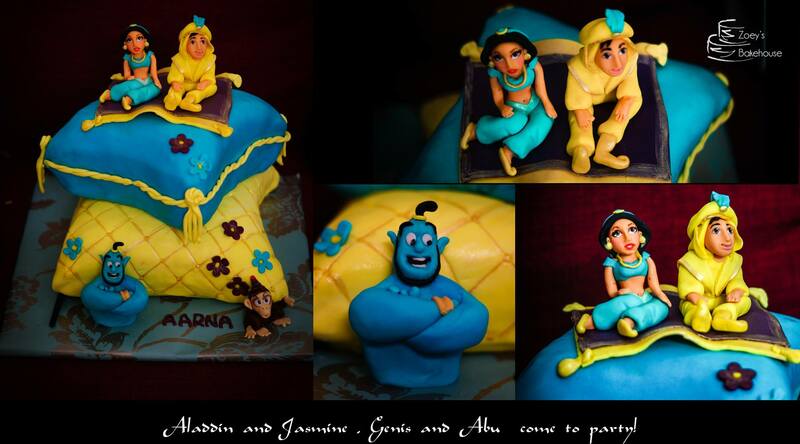 Have made Ariel cakes too!! 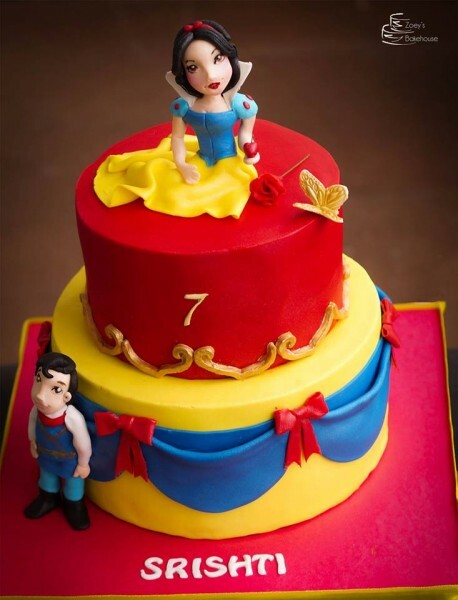 From Rapunzels, to Fairies, to Sophia the first, to barbie dolls, and even Tinkerbell, we have done a ton of themes, If your daughter has a favorite princess or character she would like us to replicate in sugar, do speak to us, and we could help you make a memorable cake for the special day!